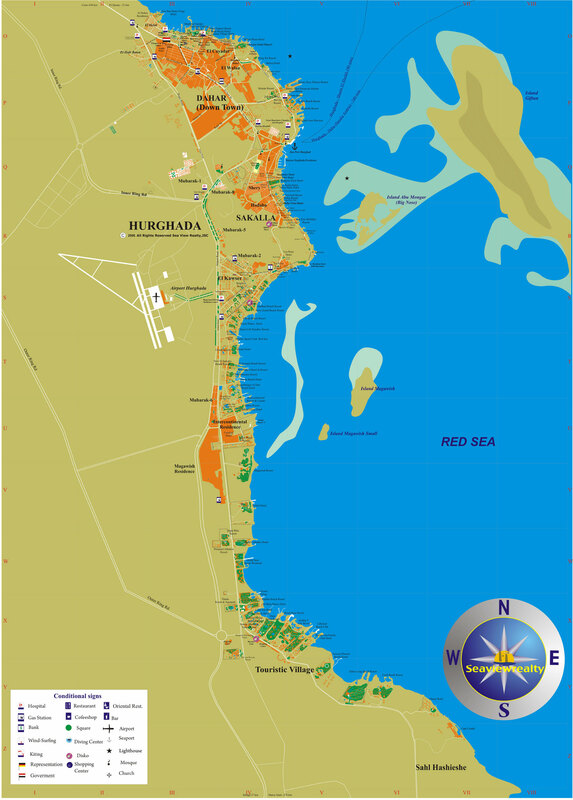 Hurghada was once just a tiny fishing village, with a location that seldom brought strangers here. Even in late 1970's this was the situation, but with the nature around, the clarity of the water, and the endless opportunities for divers, Hurghada was destined to become an Egyptian centre for pleasure tourism. Hurghada is a successful tourist resort for divers and swimmers. Huge crowds of Egyptians, Saudis and other Arabs have joined the stream of Europeans and Americans coming here throughout most of the year. There are a couple of drawbacks, though. Non-hotel beaches are not terribly great and often crowded. While the marine life is just what you hoped for. There are no corals here anymore. They can only be discovered by joining one of the many boat expeditions out to the nearby islands. 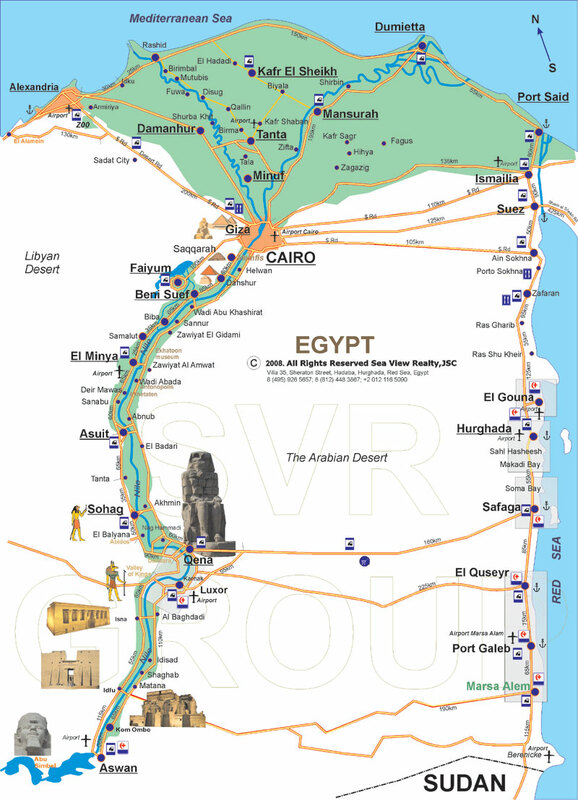 Giftun is the largest, and lies about 10 km from Hurghada. Hurghada is in reality three main centres and numerous self-contained tourist villages now growing into one body. To the north, lies the place that is closest to being a town, Al-Dahar, which has more than half of the total local population, and the the most price worthy hotels and restaurants. A couple of kilometres south, comes Sekalla, a place that suffers from being between Al-Dahar and New Hurghada, a few kilometres more to the south. There are some hotels here, some restaurants, but relatively few tourists. In New Hughada, tourism comes alive, offering every amenity a visitor is looking for. 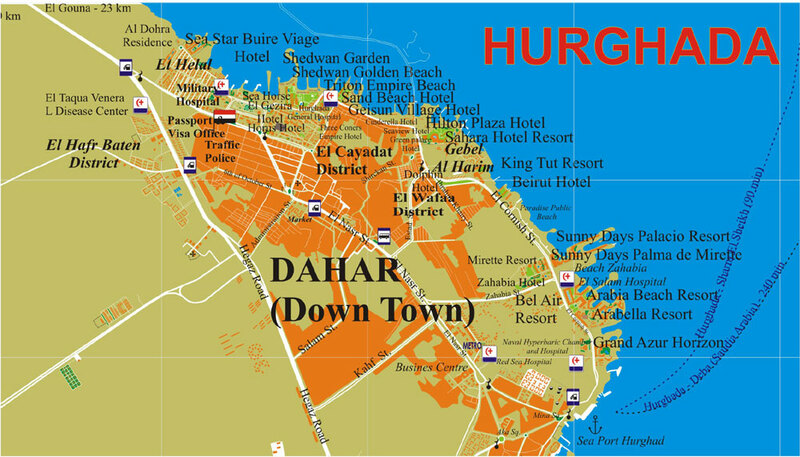 Dahar is the nearest Hurghada comes its origins. There are a few streets containing real pre tourist life. Dahar is also the place with the most dubious charm, and it lacks the continuity that most visitors look for. Large open spaces are not gardens, just holes of development. To those who imagine that the holes will soon be filled, that the unfinished houses and blocks are just months away from their inauguration, it must be said that most projects were begun in the middle of the 1990's. Hurghada suffers from a reduction in tourism, and struggles to fill its present capacity. Quarters a bit off the tourist scene, especially illustrate this. The areas near the beach to the north have a spooky, empty feeling. The Hurghada Solid Waste Management Project is HEPCA’s most recent initiative and our most ambitious undertaking to date.